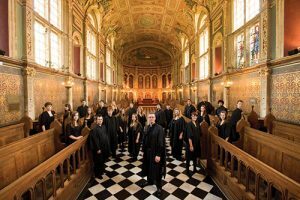 Bristol Ensemble and the Choir of Royal Holloway bring Handel’s masterpiece, Messiah, to life in a semi-staged performance in the intimate acoustic of St George’s Bristol. Talented young soloists drawn from the choir will perform the work’s arias from positions around the hall, breaking from the confines of traditional rigid staging, allowing words and music to spring into life. Tickets £12 to £23 with discounts for concessions; under 18s £5, from St George’s Bristol box office on 0845 40 24 001 or online at www.stgeorgesbristol.co.uk.